Given their versatility in decor, white and Grey floors come in different colour pallet variations and textures and do not seem to be going away any time soon. 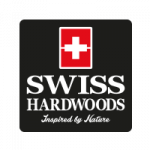 Swiss Hardwoods-PCA WHITE/MUD LIGHT-European Oak-Single Strip plank from Swiss Hardwoods is trending in Scandinavian style decor. The light tone of this engineered floor offers great scope for an accented wall or pieces of furniture. The beveled edging of these planks with its oiled surface and matt finish add depth and dimension to your space.The extra wide plank style with its uni-clic-floating floor installation mechanism provide a easy and quick yet neat and elegant look.